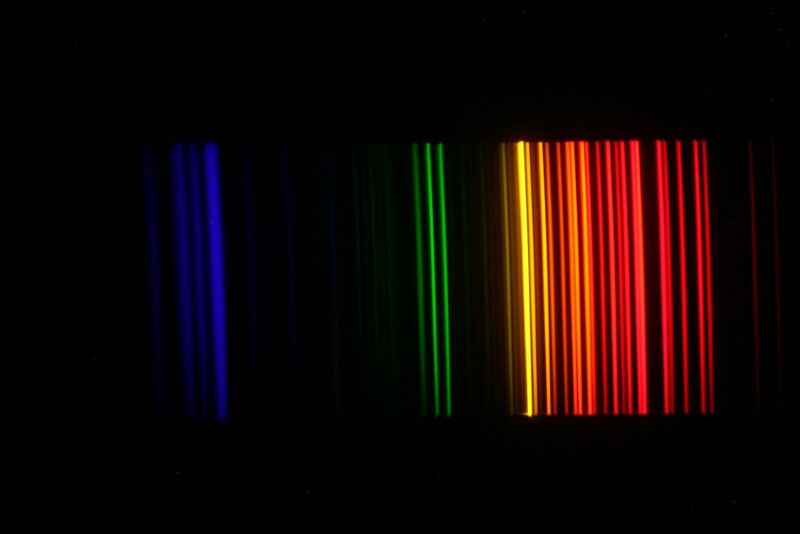 I have one of these "direct vision spectroscopes" (mine is made by Paton Hawksley - http://www.patonhawksley.co.uk/spectroscope.html) and I realised it would be possible to mount it on my digital SLR camera (Canon EOS 300D). 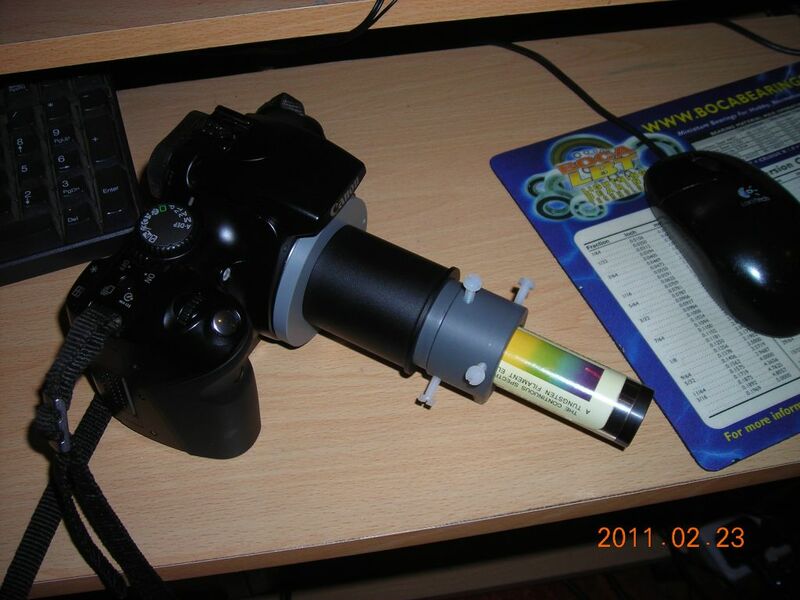 I had previously made an EOS mount adapter for a telescope, so I used it for mounting the spectroscope. 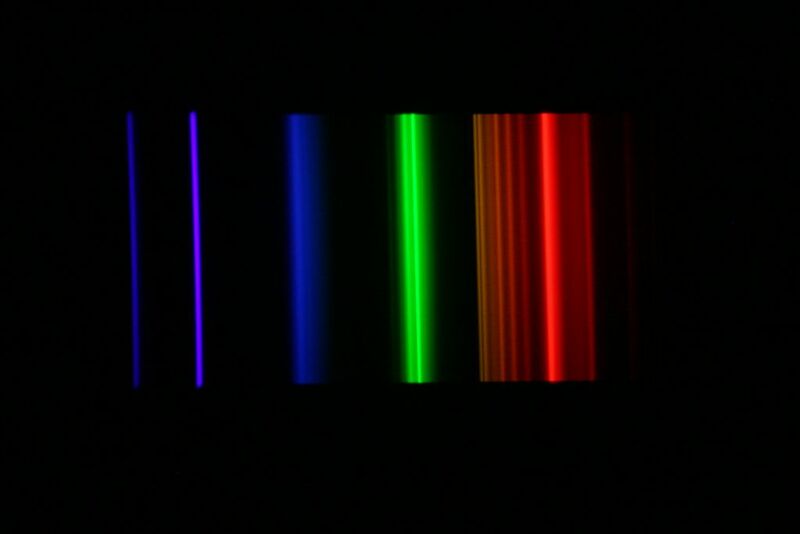 Since the spectroscope is direct-vision, the image formed is at infinity. 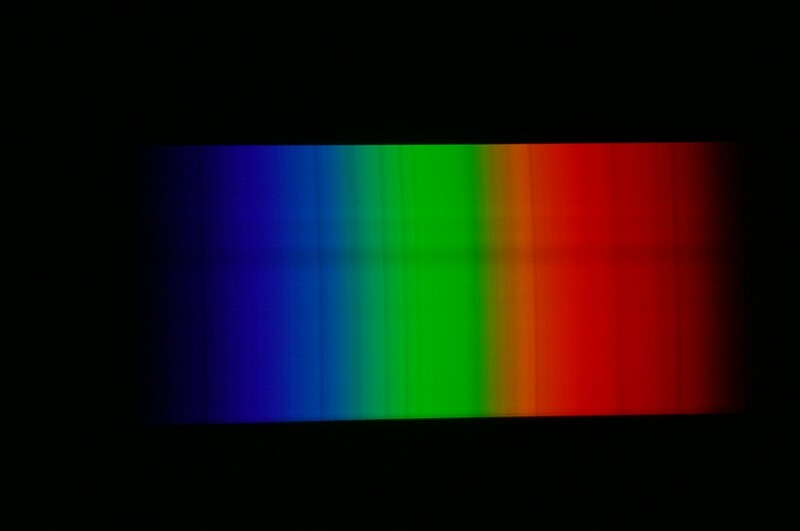 You need to use an additional lens to focus the image on the CCD plane of the camera.  I used a small Tessar lens, about 2" in focal length. It's mounted rigdly in a bit of PVC, which in turn is a tight fit inside the black aluminium tube shown attached to the EOS adapter. 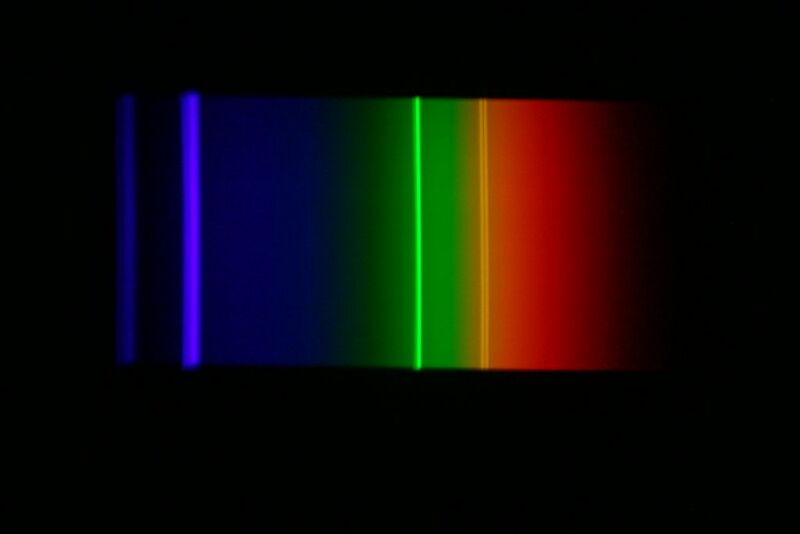 The spectroscope itself is held in place in the bit of PVC with several nylon screws. 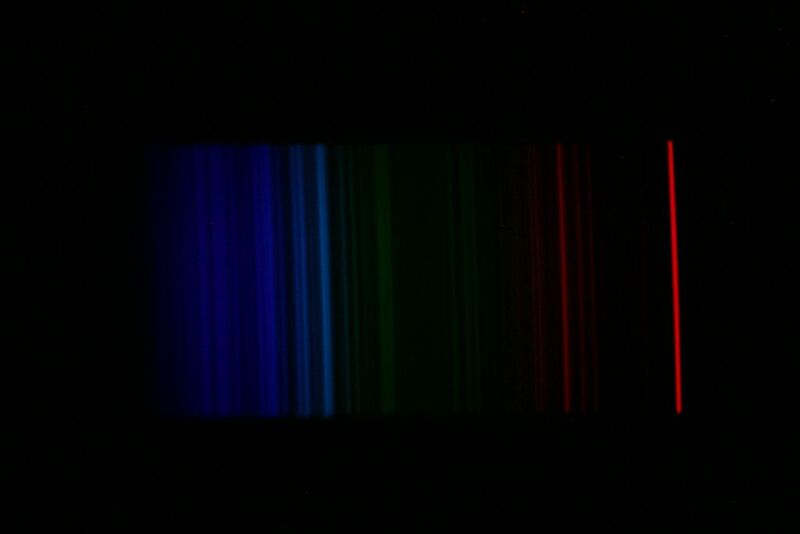 Things are slid around until the spectrum is sharp in the viewfinder. 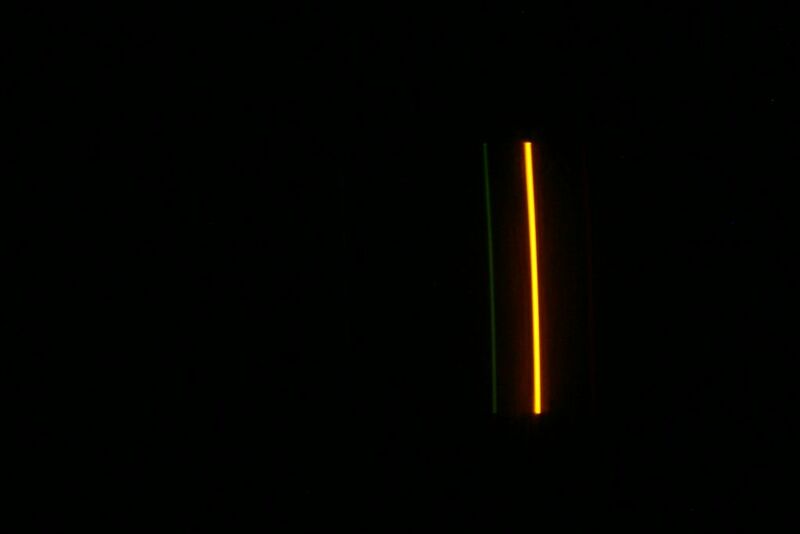 It works pretty well - exposure times are typically on the order of a few seconds. 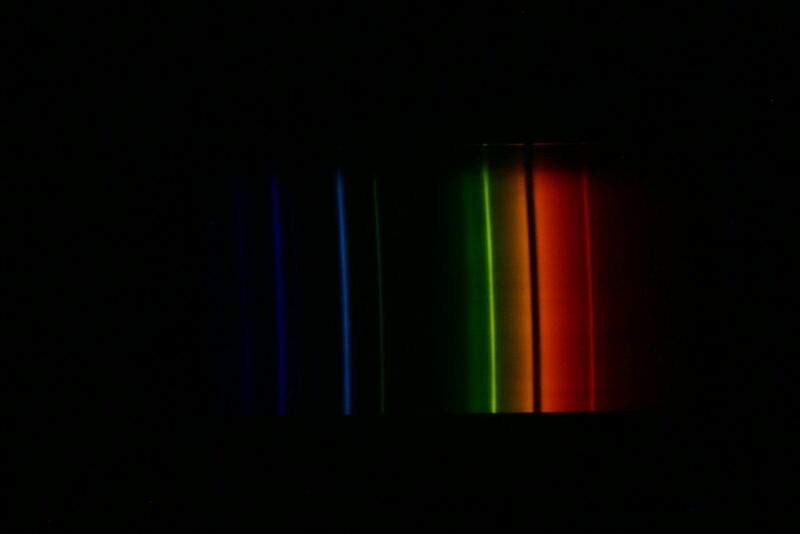 Here are some shots of various light sources.